The public can get a look at how Oyster Creek Nuclear Power Plant will close, and its safety, at some July events open to the public. Two meetings — one led by the state and another by the federal Nuclear Regulatory Commission — will share information on Exelon Nuclear Power Plant as it stares down its defueling this fall. In one, Oyster Creek Nuclear Power Plant transitions toward its decommissioning, but the state wants to know what the public thinks of its emergency response plan. The annual public comment session on the New Jersey Radiological Emergency Response Plan will be held this year in Toms River, at the Ocean County Administration Building 101 Hooper Avenue, Room 119, at 6 p.m. July 10. There’s also sessions in Salem County July 11 and Bridgeton July 12. Held in conjunction with the DEP and the New Jersey State Police, these feedback sessions give the public the chance to comment on the response plan should there be a nuclear emergency. But the plant will cease operations September 17, a major step in a decommissioning process that will take several decades to be complete for the plant, the nation’s oldest operating plan, which was built in 1969. Called the SAFESTOR process, Oyster Creek plant owner Exelon Generation Co. will start defueling and plant shutdown and defueling on September 17 and finish September 30. The annual safety notices, mailed out as brochures to residents in the 10 miles surrounding the plant, explain the current emergency response plan. Potassium Iodide tablets are distributed through the county board of health annual for residents to store in the event of a uranium plume. Evacuation routes are detailed in the brochure as well as emergency numbers. Besides the annual public hearing on the emergency plan, a public meeting specific to the plant’s decommissioning is also scheduled. 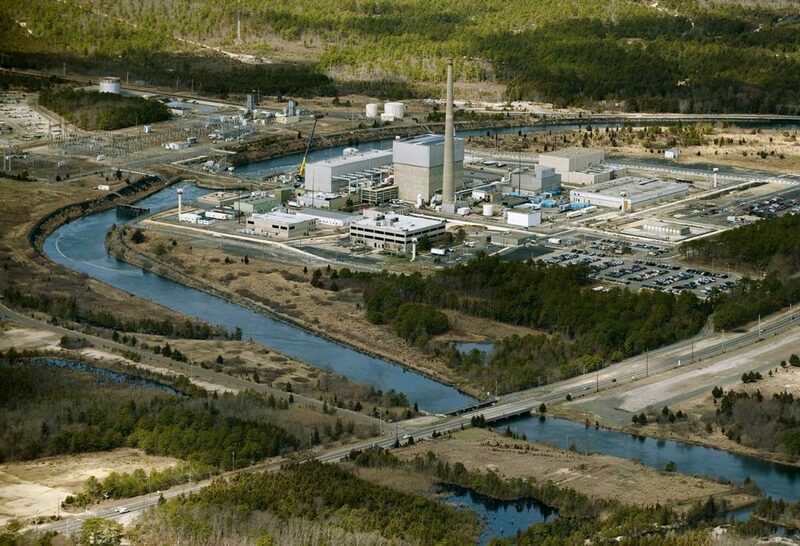 Nuclear Regulatory Commission officials will be on hand July 17 The meeting will be held at 6 p.m. in the Lacey Township Community Hall, 101 N. Main St., in Forked River. This meeting will explain the $1.4 billion process of creating 55 years of dormancy at the Oyster Creek plant, with its reactor building that houses primary containment and the reactor, turbine building, office buildings, old and new radwaste buildings, offgas building, emergency diesel generators, intake and discharge structures, ventilation stack, storage tanks, warehouse, security structures, and dry fuel storage facility. After defueling is over on September 30, there will be about 1.5 years of preparing for dormancy. Specifically, that means spent fuel would be stored in wet pools for five years, then moved to dry storage for 10 years and ultimately removed to a facility approved by the U.S. Department of Energy. That may be Barnwell Facility, South Carolina, or EnergySolutions site in Clive, Utah. Three options were available: decontaminating the site by promptly removing nuclear contaminants, leaving them there and entombing them in concrete, or “safe storage” known as SAFESTOR. Exelon chose SAFESTOR, where, after the plant is shut down and defueled, the facility is placed in a safe, stable condition and maintained in that dormancy. “The facility is left intact or may be partially dismantled, but the fuel is removed from the reactor vessel and radioactive liquids are drained from systems and components and then processed,” according to the Exelon decommissioning report, available here. After the wet and then dry storage, there will be 39 years of monitored dormancy at Oyster Creek, and then decommissioning will begin. Removal of contaminants and buildings will take place over about 3 years, starting around 2076. In 2080, the process ends with “site restoration” and the nuclear license for the site will expire. If you wish to comment on the plan but can’t make the public meeting, the NRC will accept public comments on the report until Sept. 10. Mail comments to: May Ma, Office of Administration, Mail Stop: TWFN-7-A60M, U.S. Nuclear Regulatory Commission, Washington, DC 20555-0001.